I love Pinterest as much as the next person, don't get me wrong I can spend forever pinning pretty photo's of autumn leaves, manicure inspiration and beautiful interiors. But I have a real issue and that lies with the term "Pinterest-worthy". To me that implies perfection. Something so pretty and perfect it's deemed acceptable by a bunch of strangers. Is your entire life picture perfect enough to be accepted? Who actually gives a crap? Not me for one but on an almost daily basis I see articles and blog posts offering advice on how to make something or other Pinterest-worthy. Enough already. In a social media obsessed society there's already so much pressure to be perfect and only share the good things rather than real life. It's getting ridiculous. Surely there's more to life than being perfect? Be different, don't be a sheep. 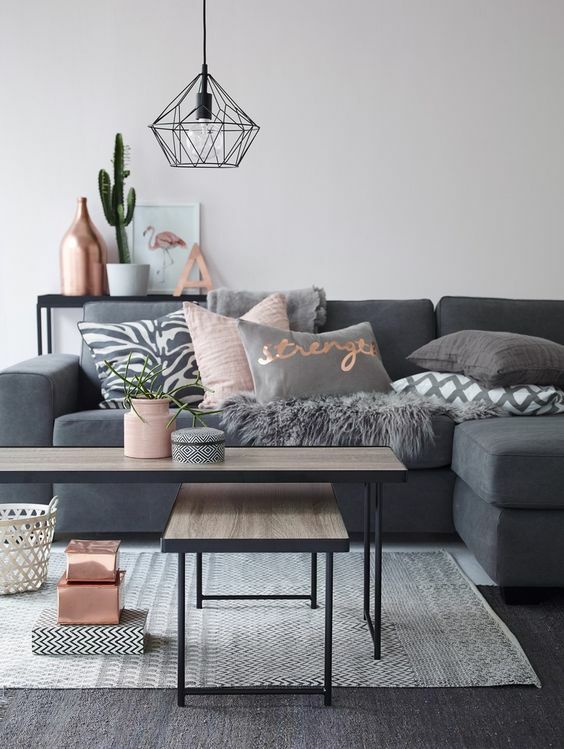 In a world of stark white walls, marble and copper, throw in some personality, screw the white walls and go for colour, screw the inspirational quote prints and go for something that reflects what you actually like. Don't ever feel like what you've created, what you've made, what you've worked for isn't worthy. Your individualism and personality is worth more than you'll ever know and worth more than a strangers approval. My home may not be 'pinterest-worthy' but it's mine, I worked hard for it and I've filled it with things I love, things that make me happy and things that reflect who I am. Yes pictures of beautiful interiors are great to look at but if that's not your style that is totally O.K.